The aim is to provide artists and managers with stats and data to better understand their fans’ listening and buying habits. To be honest, this sounds not entirely unlike the existing ‘Spotify for artists’ tools. 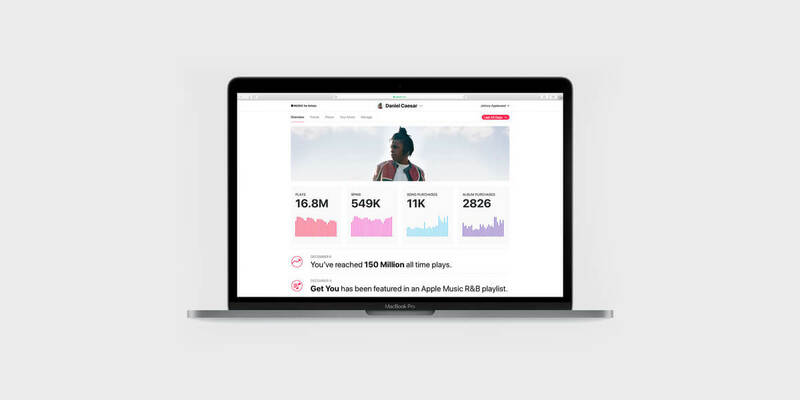 The new stats dashboard offers data on streams and iTunes downloads dating back to the 2015 launch of Apple Music. It also identifies key milestones as bullet points for specific tracks or an artists’ entire catalogue. Stats can further be broken down by country, city and demographic until your heart is content (or you have lost the will to release anything ever again). Apple does seem to be again trailing behind Spotify and others including YouTube and Pandora on this one. The bottom line is that data and the insights it can yield are not a silver bullet that will assuage accusations that royalty payments to artists from streaming remain too low.